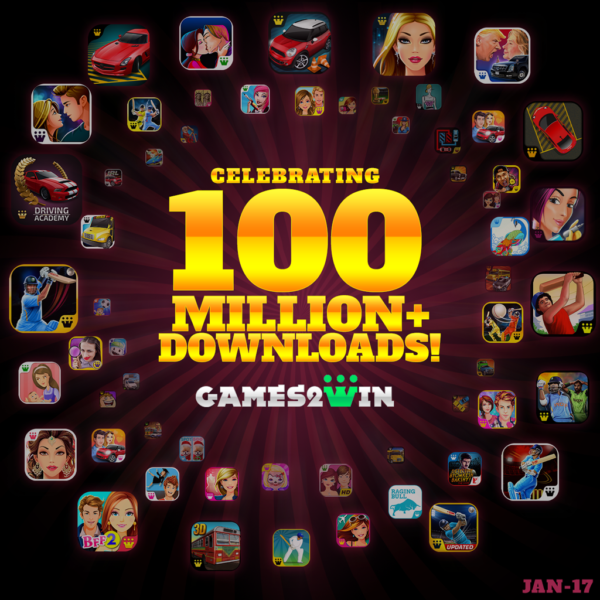 Games2win – the leading Casual Games Company announced that it has crossed over 100 million game downloads across iTunes and Android stores and has delivered over 1.2 billion minutes of global engagement in 2016 – the highest by an Indian Company. 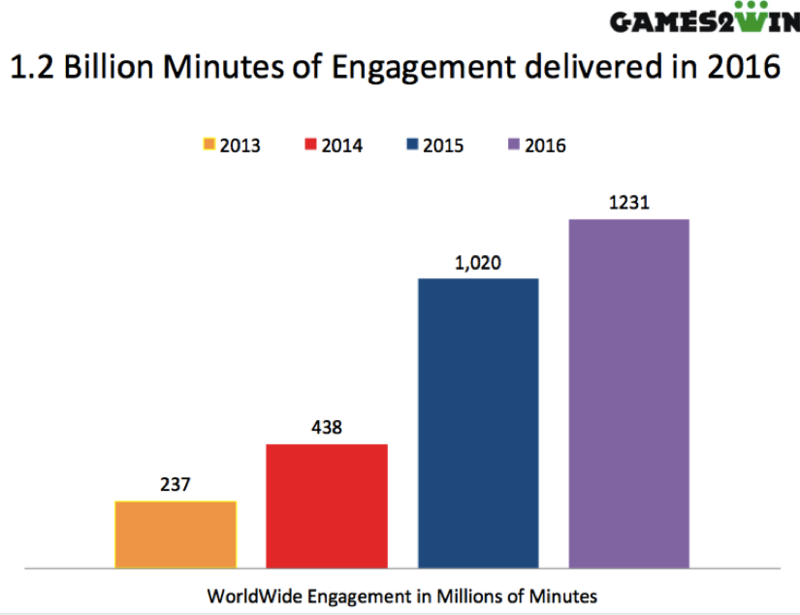 Speaking about these significant achievements, Alok Kejriwal – CEO and Co-Founder of Games2win said, “We are really excited about hitting the 100 million download mark and concurrently crossing the 1+ billion minutes of global engagement milestone right at the beginning of 2017. What makes us glad about these twin achievements is that these originate from our entire portfolio of original IP games all of which have been conceptualised, produced and published by Games2win. We have almost an equal split between iTunes and Android games and our top markets of downloads and engagement are North America, U.K, India and the top European countries. Almost all our 40 game titles have individually crossed the 1 million mark, with several titles like Power Cricket , The Tattoo game series and Parking Frenzy hitting the 5-10 million download milestones. Games2win – Based in Mumbai and San Francisco, is a gigantic casual games business, operating across a global footprint, leveraging its own and partner IP to create an entertaining gaming experience. The company is profitable and has clocked 102 million game downloads across the iTunes, Android, Windows and Kindle platforms all via viral installs. Some of its games – Parking Frenzy, Star Fashion Designer, Fab Tattoo Artist & Fashion Diva, have topped the global app charts.